One of the best things about being a colorist is the instant gratification we can provide our clients. Unlike most beautification services, we can painlessly transform clients so they look younger and brighter in just a few short hours. 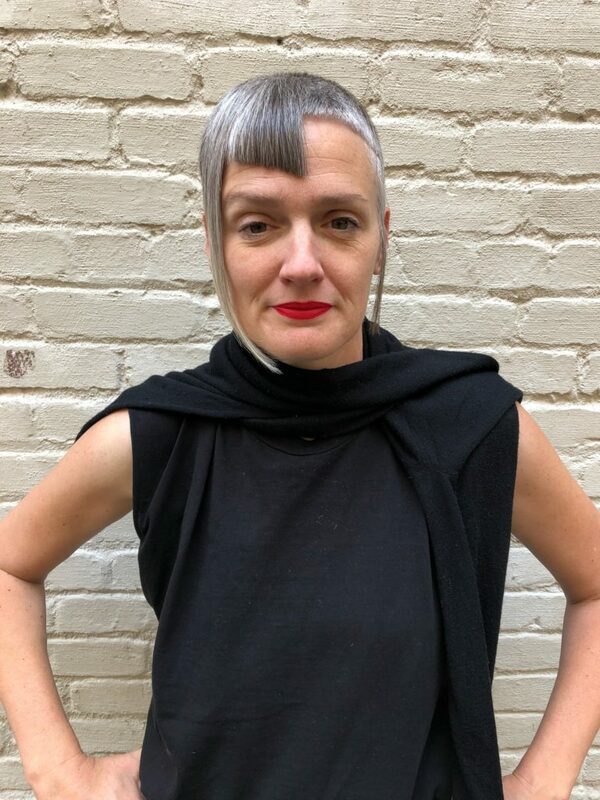 Just as pixie cuts grow out and fashion colors fade—grey hairs keep multiplying and growing even after you come in for a color service. In fact, struggles with grey outgrowth are the most common complaints we hear from our clients. Why does it come in so fast? Wasn’t I just here? Is there anything I can do to make it stop growing? Don’t worry—we’re here to answer these far too frequently asked questions. 1. Why does grey come back so fast? Like all body hair, the hair on your head grows every single day. You know how you shave your legs, and then two days later you have stubble? The hair on your head acts no differently. The more grey hair you have and the farther away from its natural color that you tint it, the more obvious the outgrowth is. Our advice: Talk to your colorist about ways to make the transition less extreme. We’ll work with you to find the perfect shade to lessen contrast when your hair inevitably grows out. Another pro tip: We recommend adapting your makeup or color palette to accent your new, lighter locks. 2. Is there anything I can do to make it stop growing? In short: no, sorry. Your hair is going to grow, whether you want it to or not. 3. What can you do to make greys less obvious? Variation is a great way to distract the eye from a strong demarcation line. On your next consultation, we recommend discussing highlights with your colorist. Not only do highlights and lowlights help mask greys, they also add dimension and contrast to your look. 4. I have an event in a few days—what can I do right now? Two words: temporary color. That’s right, we carry two different kinds of temporary color solutions to get you through to your next appointment. Option One: hairspray. At diPietro Todd Salon, we carry an airbrush spray from Oribe that instantly covers new growth. It’s waterproof, so you won’t have to worry about your color disappearing until you shampoo, even if you plan to sweat. Option Two: powder formula. We love the Wow product line, which includes powder formulas that are applied much like eye shadow. We recommend this option to touch-up your hairline or for those who have just a few pesky grey strands. 5. I’m so over this—can you just color my hair grey? No—well, maybe. But we can almost guarantee you won’t love it. 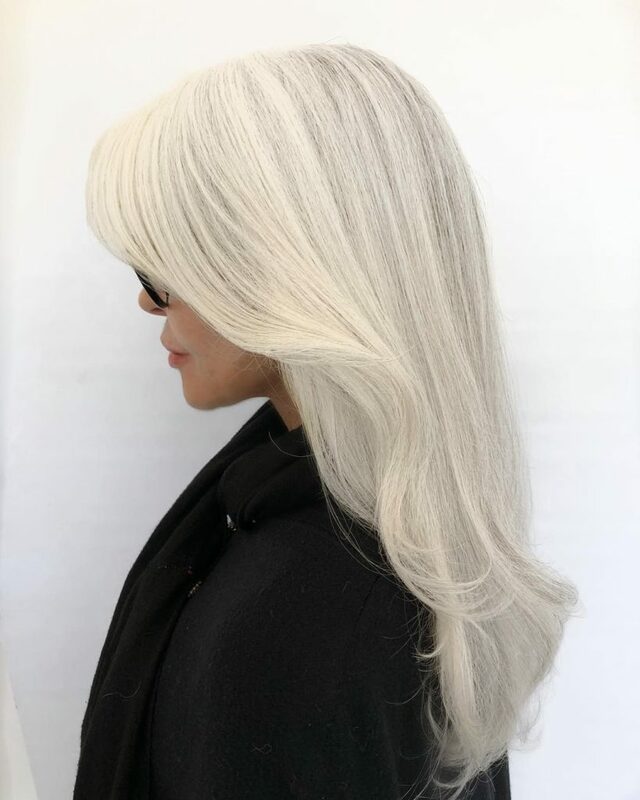 To achieve artificial grey hair; first you must bleach the hair to its lightest shade, almost unachievable on pre-colored hair, and then tone it grey, which only lasts a few washes. Some other side effects of this harsh and expensive service include: compromising and damaging hair, lengthy service times, and an unpleasant grow out. Luckily, we have many tricks up our sleeves. Your colorist knows you best, and can talk you through different ways to naturally use your greys to achieve your ideal look. 6. Alright, this has to be a joke; I saw white hairs within days. Did the color work last time or did it just wash off? Sorry to disappoint—but if you color your hair a shade that’s brown or darker, you can see new grey growth within a few days. That’s the truth, and there’s nothing any colorist on this planet can do about it. Color doesn’t wash off—trust me, we wish it did sometimes. That being said, your colorist can easily fix any strands that may have been missed the first time. And those tiny dots of grey sprouting out close to your scalp…that’s just normal hair growth. One last, life-changing secret: Pre-book your color appointments at one of our five locations. No amount of wishful thinking is ever going to make your color last longer, but pre-booking your appointments allows you to fight greys long before you reach your breaking point.